On the theory of metaphysics, Hobbes is a complete materialist. All that exists is material bodies in 3 dimensions, with magnitudes of length, breadth, and depth in motion, interacting with other bodies. In the Hobbesian epistemology, all knowledge is based on the senses; there are no innate ideas. “(For there is no conception in a man’s mind, which has not at first, totally, or by parts, been begotten upon the organs of sense.) The rest are derived from that original.” (ibid., “Of Man,” Ch. 1) By “that original,” he means sensations, and by “the rest,” he means imaginations, memories, emotions, and even our ideas. Thus Hobbes is also a thorough empiricist. Empiricism is basically the theory that sense-experience is the source of all knowledge, including all ideas. Here is how he combines his materialism with his empiricism. Sensations are motions in the brain (and heart). Sensations also give us awareness of images which suggest an external world. This can occur because of the interaction of the external objects with our sense organs, which causes us to directly experience the inner content of our brains: the various sensations. (ibid., “Of Man,” Ch. 1, pp. 11-12) “The cause of sense is the external body or object, which presses on the organ proper to each sense, either immediately, as in the taste and touch; or mediately, as in seeing, hearing, and smelling[…]” (ibid., “Of Man,” Ch. 1, p. 11) This is known as the “causal theory of perception”: reality is merely the cause, not the object, of our perceptions, and the object of perception is taken to be some inner, mental experience or sense. He also held that there are two sorts of qualities that our senses detect. The first sort are the properties that actually belong to the bodies themselves, which philosopher John Locke would later call the “primary qualities.” “The definition, therefore, of body may be this, a body is that, which having no dependence upon our thought, is coincident or coextended with some part of space.” (Elements of Philosophy Concerning Body, “Of Body and Accident,” Ch. 8, section 1) So our senses allow us to perceive figure/shape, size, number (of things in a group), and motion, which are considered to be the properties of bodies. The “secondary qualities” that Hobbes accepts (and that Locke also named as a group) are the familiar sensations that we associate with the five senses. “For light and colour, and heat and sound, and other qualities which are commonly called sensible, are not objects, but phantasms [images or ‘fancies’] in the sentients.” (ibid., “Of Sense and Animal Motion,” Ch. 25, section 3) The sensory qualities are “in us,” they are images in our minds, not in the objects which cause them. On Hobbes’ view, the real world is invisible, odorless, temperature-less, texture-less (neither “smooth” nor “rough”), tasteless, inaudible, etc. Hobbes believes that some of our experiences are similar to or match reality, namely the experiences of the primary qualities. The secondary qualities do not. This view that (some) sensations can be similar to what’s really out there is the “representative theory of perception.” In this theory, perception is just another kind of looking inward into one’s own consciousness, just another process of introspection. Reality is known by inference from our introspections/inner awareness of qualities. Sensualism is the view that all mental phenomena, such as memories and imaginations, are really sense perceptions. Man has only one faculty of awareness, sense-perception, and all other “faculties” are merely forms of it. Therefore on this theory the process of gaining knowledge by reason is essentially the same as gaining it by sense-perception. Rather than having a fleshed-out, coherent philosophical system, Hume is known as the arch-skepticist in philosophy. His system begins with an unmitigated empiricism, but the principles that Hume adopts slowly demolish the most perennial positions held in philosophy. He begins along the lines of John Locke, whose views are assessed and attacked relentlessly in Hume’s works. Our perceptions come in two forms: impressions and ideas. Impressions are our sense experiences and emotions, whereas ideas are copies of impressions which are conveyed by our thoughts, a thesis known as the “copy principle.” The difference between ideas and impressions is merely their force or liveliness or vivacity: take an impression/sensation of a “chair,” make the impression dull and faded and you now have an idea of “chair.” (Although technically a “chair” would be a complex impression for Hume, consisting of the qualities of the chair like “size” and “shape” bundled together.) Our ideas can never become as vivid as their impressions, so impressions are always the original perceptions and ideas simply copy or represent/resemble them. Despite these differences with the modern philosophy, Hume takes his version of sensualism to unprecedented depths of skepticism. It is still premature to fully address all of my issues with sensualism, and more fundamentally the entire conflict between the empiricists and the rationalists. I’ll now focus on two essential points in the sensualist school: the importance they place on the faculty of imagination for its role in generating knowledge, and the sensualist assumption that perception is the result of a combination of sensations and/or sense qualities. An interesting problem in the sensualist tradition is a failure to fully differentiate between our mental faculties. Hobbes thought that imaginations were just decayed sense experiences, and that memories and ideas are only forms of the imagination. 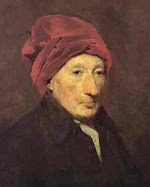 Hume believed that imagination was the base of all faculties, even reason and the senses. I have major problems with this sensualist view of imagination, particularly the “resemblances” Hobbes and Hume saw between the other faculties and the imagination which causes them to attribute any type of identity amongst them. Imagination is the ability to arrange and rearrange stored information, experiences, ideas, and generally any mental content through one’s will. It can also operate subconsciously, such as a person seeing a nearby bear, and subsequently feeling fear after imagining being mauled by it. Most striking is its ability to give us dreams and nightmares when we are asleep. It is not restrained by rational considerations or even realistic notions of causality, and so an innumerable number of events can be imagined that clash with reality, like imagining that a camp fire would not melt a scoop of ice cream very close to it. Perception is a causal interaction between the perceiver and the perceived, in which the perceptual systems must relay the information that they receive in the forms available to them, following inexorable physical and psychological laws. We have a degree of control over when and how we use our perceptual systems, such as when we close our eyes to cease our sight, or plug our nose to stop our sense of smell. However, the nature of the perceptions and the means of processing for those systems are outside of our volition. Perception cannot ignore reality or mischaracterize it, as imagination is easily capable of. Perception cannot represent or misrepresent reality, but imagination can. Perceptions and sensations are not images in the mind, but rather a mind’s awareness of something external interacting with its sense organs. Imaginations are entirely different phenomena than so-called “decayed sense perceptions.” “Decaying” perceptions would be more like after-images and noise-induced ringing ears, but even these aren’t imaginations. Rather, those phenomena are effects of over-exposure to certain stimuli. Imaginations do not require a stimulus from the environment; a person with sufficient information stored in their subconscious can imagine virtually whatever they want with absolutely no stimulus from the environment. Perceptions always require a stimulus because they are the results of a continuous process of interactions between a being’s perceptual systems and the environment. Considering all of this, I would say that the sensualists vastly overstate the capabilities of the imagination. Another theme of the sensualists is that perceptions are not a simple form of awareness, but are necessarily complex. 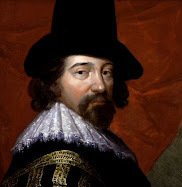 Hobbes (and Locke) thought that we perceive objects which were combinations of the primary and secondary qualities, although the secondary qualities were presumed to be deceptions by Hobbes. Hume considered the “colour, taste, figure, solidity, and other qualities combined in a peach or melon.” Perceived objects are bundles of sensations of qualities for Hume, and we merely imagine that there are coherent, unified objects which are simple. Contra Hume, the perception of a melon is not a combination of our sensations of its figure, solidity, taste, texture, etc. Perception is of the melon against the backdrop of the table it’s resting on and the room spread out around the melon, table and the observer. There are no such sensations or atoms of awareness. We can analyze a perceptual experience and abstract out aspects or dimensions of the experience, like a sound’s pitch or the roughness of a fabric. But the mistake that Hume and others make is that they regard these aspects as individual “sensations,” when they should be more properly regarded as “sensory qualities” (ibid., p. 65). The sensory qualities are what we abstract out of our perceptual experiences, but the whole perceptual awareness of entities is what is given to us, not separate aspects of the experience, and certainly not separate sensations that are somehow put together. The error of the “atomic” view of perception is that its proponents are reifying aspects of a perceptual relationship, its sensory qualities, and treating them as if they were independently existing things. As I mentioned in my summary of Hume’s view, he literally believes that these qualities can exist separately because they can be distinguished, as in 1.4.3.7 of the Treatise. But this is a plain category mistake: Hume and the sensualists are treating qualities as if they were entities, things. Qualities, aspects are not independently existing phenomena, but are aspects of something, whether it is an entity or its derivatives like an action or a relationship. Aristotle was the first to explain this point about the priority of the categories, and Rand recently reminded us of this truth in the last century. Perception is composed of neither individual sensation “atoms,” nor of separately existing qualities “bundled together” into things. Perception is a unitary, seamless awareness of things, not the result of a composition of sensations. From the foregoing, I hope the reader can appreciate how important it is to get one’s foundational views clearly sketched out, and checked against the facts of reality. Both Hobbes and Hume begin as standard empiricists with their advocacy of perception and sensations, but subsequently tear up their own base. Hobbes literally calls the senses “deceivers”; Hume ends up holding that the objects we think that we perceive and the causality we think operates in the world are just figments of our imaginations. Hume has no earthly idea what is causing the perceptions, as he dismisses the idea that experience warrants our ideas of independently existing objects. Everything that they build up in their philosophies rests on a foundation that even they criticize and do not fully support. Sensualism ended in Humean skepticism, which is what it deserved. Sense perception is not the end-all and be-all of knowledge, contra sensualism. Trying to make it so can only end in disaster. To escape the pitfalls of sensualism, we must put both the perceptual level and the conceptual level on a better foundation than the sensualist school planned for it. The Objectivist axioms and corollaries are exactly the sorts of things needed to explain what can claim to be self-evident and to show the field of philosophy how to properly ground its own systems. Binswanger, Harry. How We Know. New York: TOF Publications, 2014. “Cognition.” Oxford Dictionary. Online version. Hobbes, Thomas, and W G. P. Smith. Hobbes's Leviathan: Reprinted from the Edition of 1651. Oxford: Clarendon Press, 1909. PDF version. from Human Nature and Leviathan. Chicago, Ill.: Open Court Pub. Co, 1913. Online version. Hume, David. An Enquiry Concerning Human Understanding. Online version.